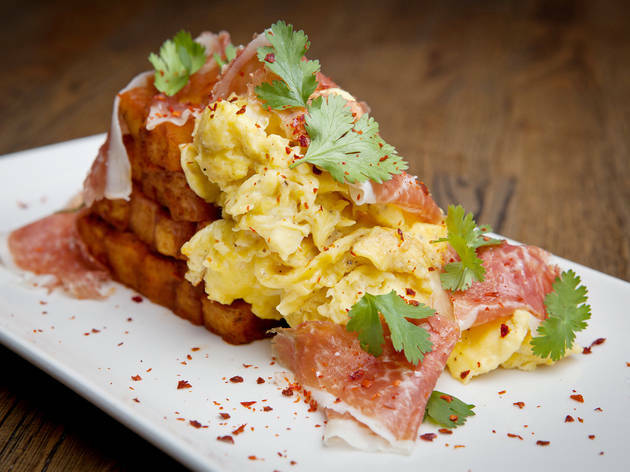 We review the new weekend brunches available at avec, Takito Kitchen, DryHop Brewers and RM Champagne Salon. 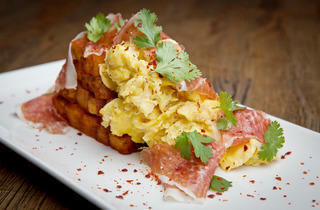 Credit: Zach JohnstonTakito Kitchen's Spanish ham and eggs comes with a stack of patatas bravas. 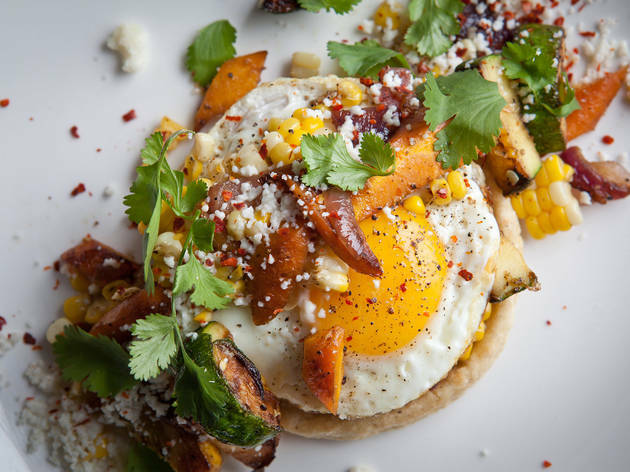 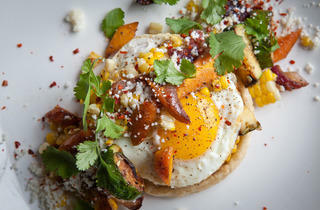 Credit: Zach JohnstonTakito Kitchen's vegetable sope includes a fried egg and queso fresco. 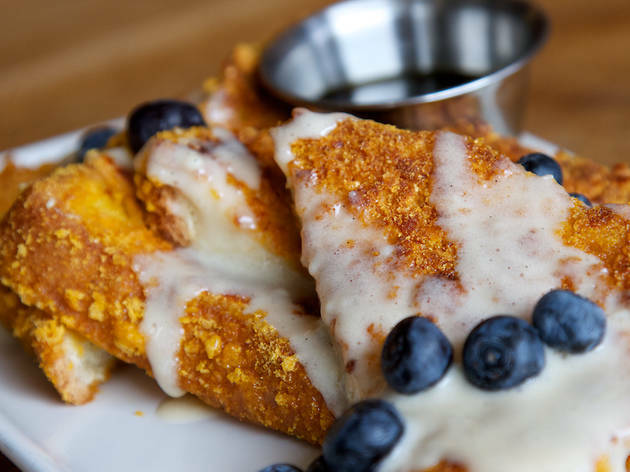 Photo courtesy DryHop BrewersDryHop Brewer's Captain's French toast is crusted with Cap'n Crunch and topped with liquid cheesecake. 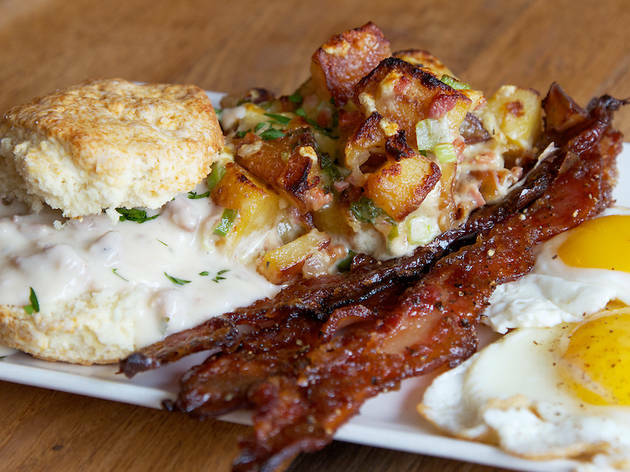 Photo courtesy DryHop BrewersHank's Plate at DryHop Brewers includes eggs, brown sugar-glazed bacon, potato casserole and biscuits and gravy. 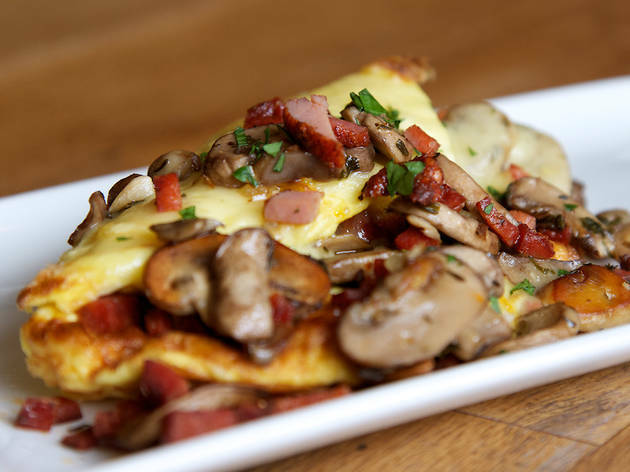 Photo courtesy DryHop BrewersDryHop Brewers has three omelets on the brunch menu, including one with mushrooms and Thuringer sausage. 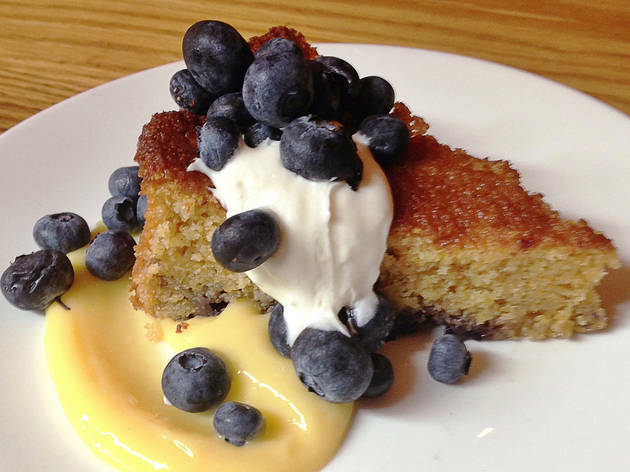 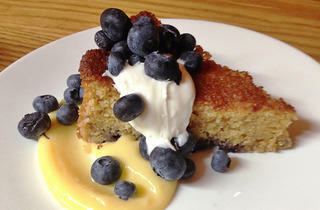 Photo courtesy AvecAvec's brunch menu includes blueberry polenta coffee cake with basil lemon curd and whipped cream cheese. 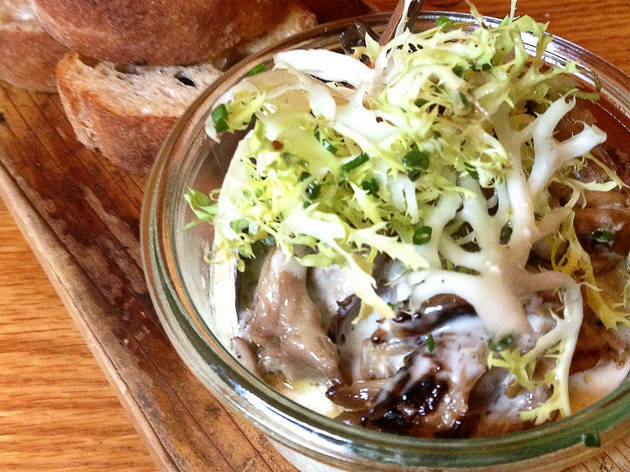 Photo courtesy AvecAvec's brunch menu includes coddled eggs with roasted mushrooms, taleggio fonduta, bitter greens and garlic crostini. 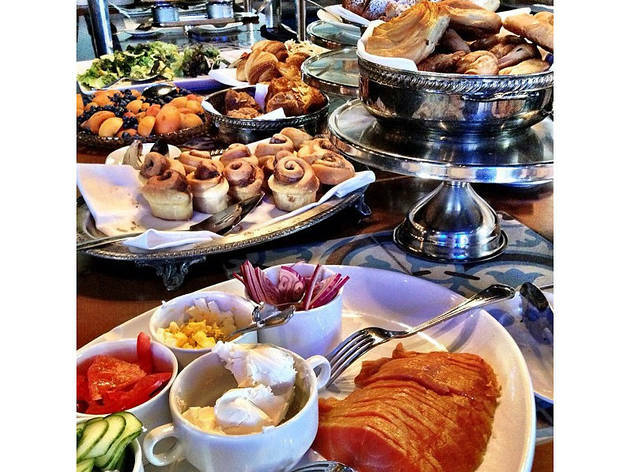 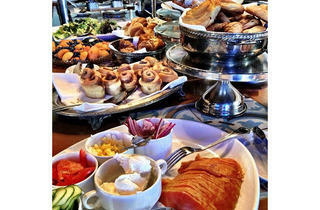 Photo courtesy RM Champagne SalonRM Champagne Salon features a brunch buffet every Sunday afternoon. 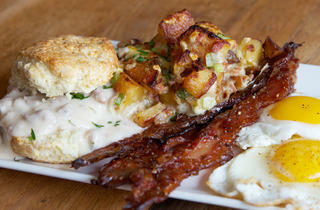 RM Champagne Salon, 116 N Green St; Sun 1-5pm. 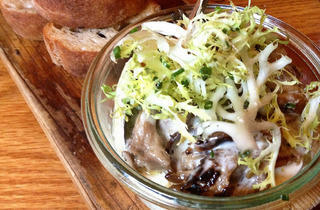 • Takito Kitchen, 2013 W Division St; Fri–Sun 12-3pm. 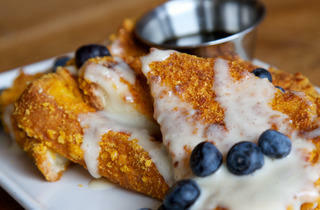 • DryHop Brewers, 3155 N Broadway; Sat, Sun 11am–3pm. 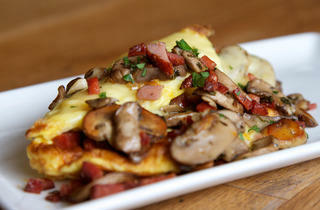 • Avec, 615 W Randolph St; Sun 10am–2pm.